Here are some facts about Emily Davison, the British suffragette. 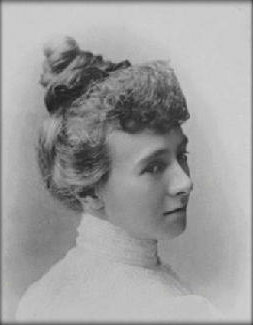 Emily Wilding Davison was born on 11th October 1872 in Blackheath, London. She attended Kensington High School, Royal Holloway Collage and she studied at St Hugh’s College, Oxford, and the University of London. In 1906, Emily Davison joined Emmeline Pankhurst‘s ‘Women’s Social and Political Union’ (WSPU), a group devoted to obtaining suffrage for women (the right to vote in elections) by almost any means. Emily Davison was a brave and sometimes violent campaigner. She broke up meetings and carried out arson attacks. Davison was arrested and jailed nine times. When in prison, she often went on hunger strike, resulting in her being force-fed more than forty-five times. On the night of the 1911 census, Emily hid overnight in the chapel of the Palace of Westminster. She wanted the 1911 census to record her place of residence for that day as the House of Commons. A commemorative plaque hangs in the Houses of Parliament to commemorate the event. On 4th June 1913, Emily Davison stepped out onto the track during the Epsom Derby. She was knocked to the floor by the the horse, Anmer, owned by King George V, and trampled by its hooves. Emily Davison died from her injuries on 8th June 1913. Some people believe that Emily intended to end her life to bring attention to her cause, whereas others believe that she was only intending to attach a WSPU flag or sash to the bridle of Anmer, and didn’t intend to kill herself. She is buried in a family plot in the graveyard of St. Mary the Virgin in Morpeth, Northumberland. Glad we were able to help you out. Thanks for using Primary Facts! Thanks ,a lot you really helped with my project.